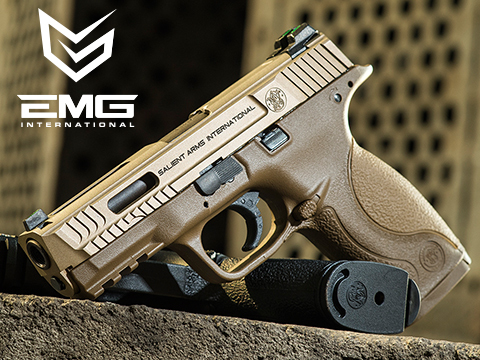 The EMG / SAI collaboration M&P pistol is an accurate and affordable replica weapon which closely replicates its real firearm counterpart, the Smith & Wesson M&P 9. 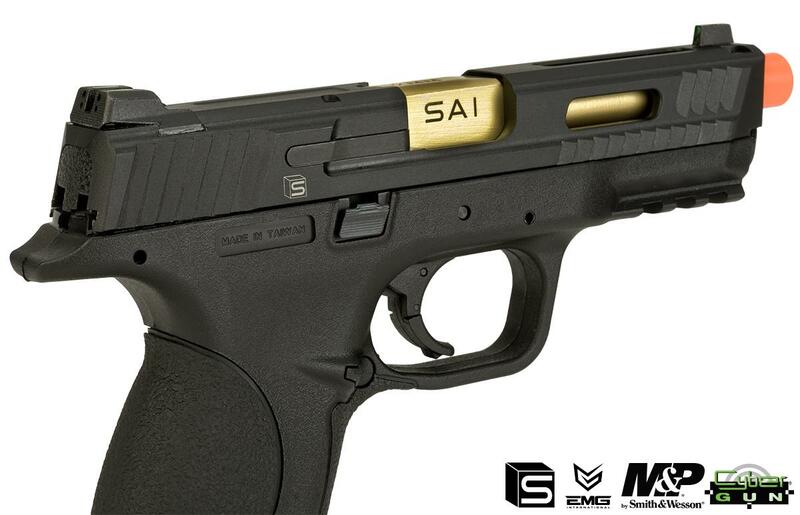 Manufactured under license from Cybergun and Smith & Wesson, the EMG M&P 9 features full SAI / S&W trademarks. 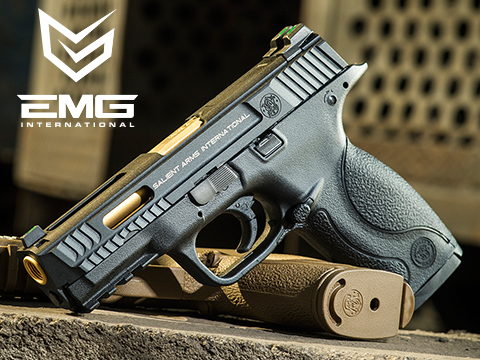 Based off of the OEM VFC pistol, the EMG M&P 9 boasts excellent performance, reliability, and consistency. Just like the real firearm this was modeled after, VFC uses a durable high impact polymer frame with heavy duty metal slide. 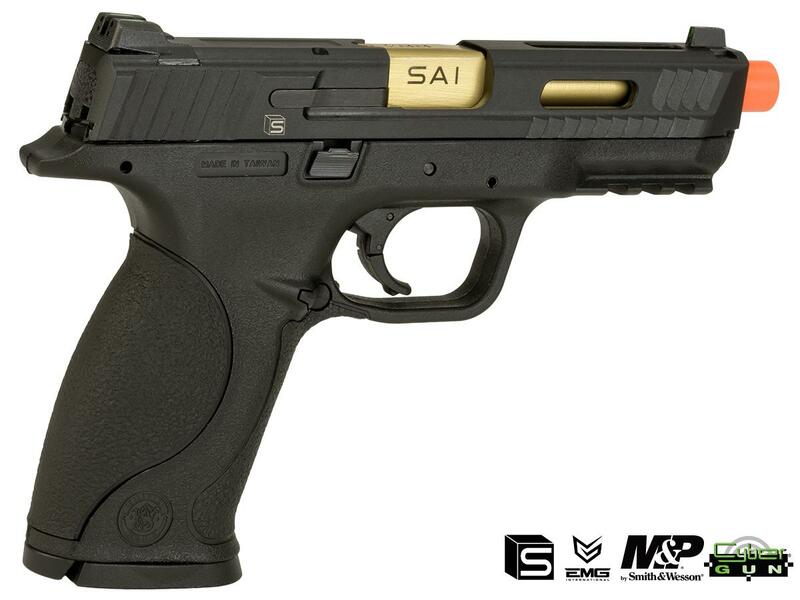 Other features include ambidextrous slide stops/releases, a reversible mag lock to convert the pistol to be more lefty friendly, Picatinny lower rail for lights and lasers, a functional hinged trigger safety, and changeable back straps to custom fit the gun to your hands. 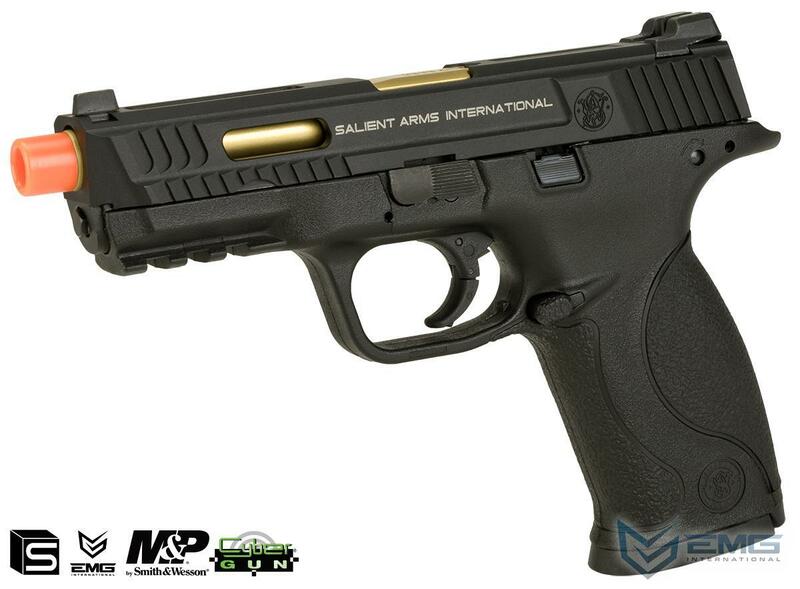 The Smith & Wesson M&P (Military & Police) line of striker fired, polymer frame, semi-automatic pistols are the evolution of Smith & Wessons first polymer framed pistol the Sigma. 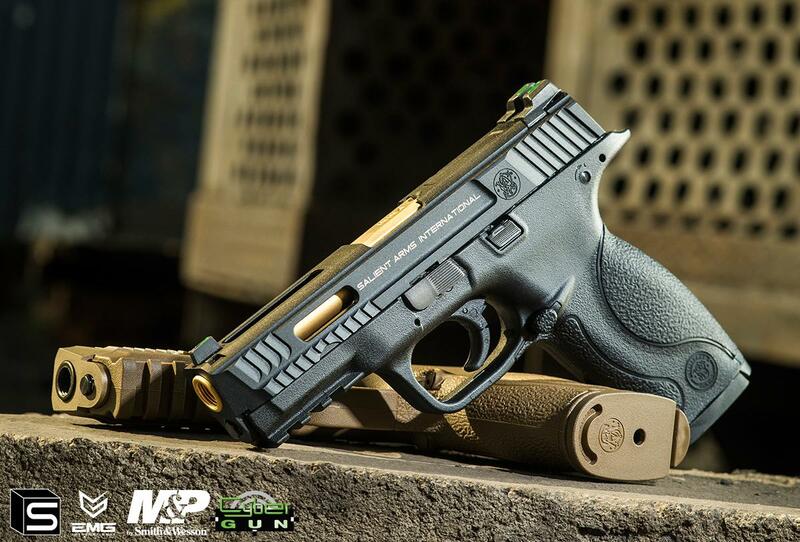 The M&P design boasts a vastly improved trigger featuring a lighter pull weight and crisper trigger break. The enhanced ergonomics and replaceable backstrap allows the pistol to be custom fitted for improved comfort for most hand sizes. The pistols high grip and low bore axis greatly helps to mitigate felt recoil, allowing for greater control, and quicker follow-up shots. 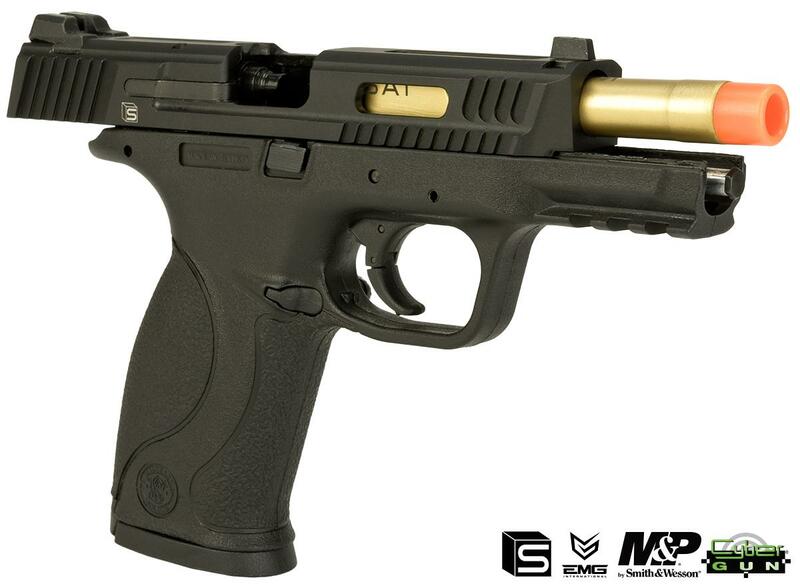 To better fill the pistols tactical role, the M&P line is fitted with a standard Picatinny rail for easy attachment of lights and lasers without the need for special tools. 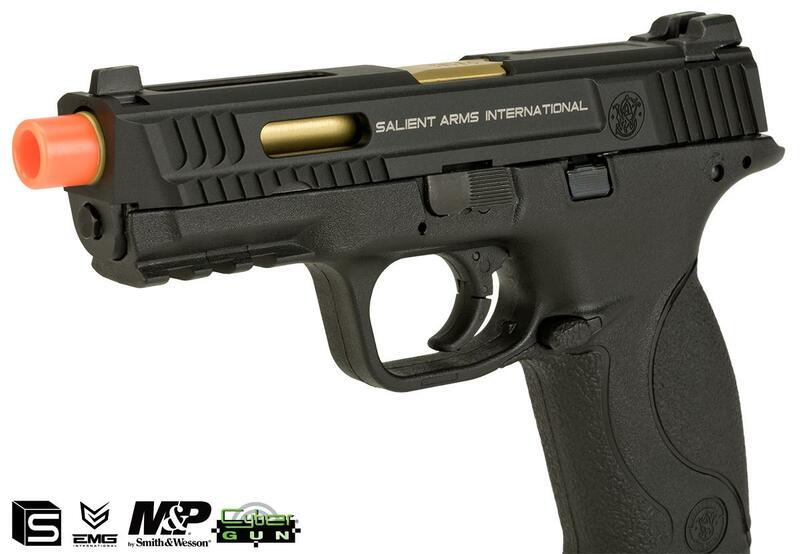 Salient Arms International further improves upon the M&P design with custom slide milling to add deeper, easier to grasp forward and rear slide serrations. Porting on the slide reduces overall weight and mass, resulting in a quicker cyclic rate. Fiber optic front and rear sights are quicker to acquire and easier to properly line up for a fast, crisp, and clear sight picture.